There’s a great new culinary adventure waiting for you… Mustard Bites: A Tasteful Adventure. 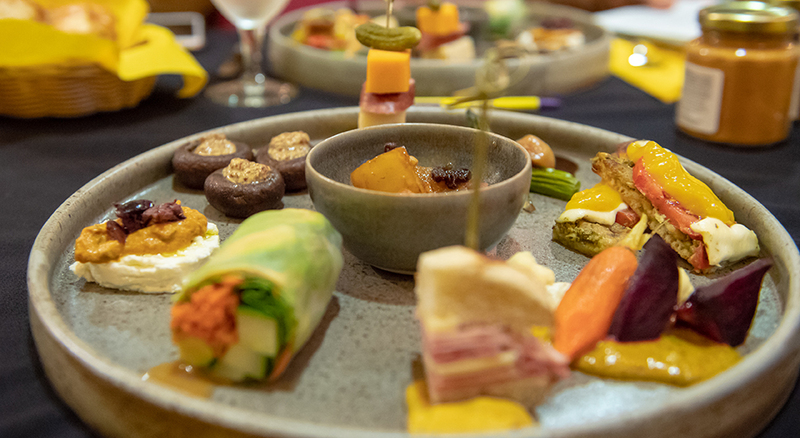 Be part of our first MUSTARD BITES evening of delicious small plates paired with the “right” mustards and discover how well mustard makes everything taste better. Check our event signups on Eventbrite to take a voyage on the good ship “Mustard Bites.” Space is limited so sign up today for an unforgettable taste adventure. $45 per person. Scheduled events on Eventbrite are our public events, and anyone can attend. We also offer private group adventures for groups of 12-48 people. To learn more about Mustard Bites or to request a private group adventure, click below. One Response to Introducing Mustard Bites! Is there a carry-out option? Can you also BYOM?